Happy Birthday Us!! | Grindin' | Stay on it! Ten years ago, Grindin' developed as a community of passionate fans that have flourished into a collective of creative minds. Grindin' has an above average amount of talented people who already succeed in their goals with a lot of talented contributors and readers who have risen to become world famous. We are proud to announce that we are celebrating our tenth anniversary this month, and in honor of this anniversary we’ve decided to release some exclusive merchandise from Grindin’. From this time on, we’re gonna frequently release a Grindin' Talk with a Mixtape gathered together from Grindin’ and the submissions. 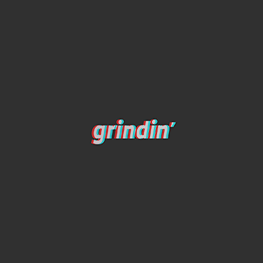 Grindin' is more than a community, it's a collective of creative minds who intend to inspire the world through their music and creative works. we’re trying to create a platform that curates, connects and nurtures those that are doing cool stuff, as in alt-culture working professionals, aka Grindin’. From everyone on the grindin' team (Jean-Luc, you too buddy), we'd like to give our sincere appreciation. Thank you. Man it's been a decade woah, happy birthday to this great community, Jean-Luc, Mika, Mari and anyone that contributes to this site in one way or another ! Now let's drop acid and partaaaaaay ! Looks like your connection to Happy Birthday Us!! was lost, please wait while we try to reconnect.